NAGPUR: Activists and sister of Yogita Thakrehave demanded that Nitin Gadkari, former city police chief Praveen Dixit, forensic experts and others be included as co-accused in the ‘murder case’ of the girl who was found dead in a car at the BJP national president’s residence more than three years ago. The demand came from Jammu Anand, the district secretary of the Communist Party of India (CPI) and president of the association of domestic helps. Addressing a press conference at the CPI office at Ganeshpeth on Thursday, along with Yogita’s elder sister Kiran, Anand said they will meet state CM Prithviraj Chavan and demand that the seven-year-old’s murder case be transferred to the Central Bureau of Investigation (CBI). 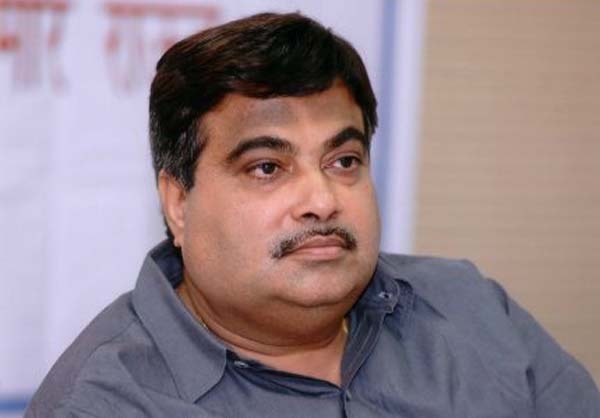 In a new development, Anand claimed that Yogita was not suffering from sickle cell disease as was being claimed by Gadkari in his recent public speeches. The BJP chief had indicated that the disease could have played a role in her death. Anand produced a copy of an investigation report submitted to the judicial magistrate first class (JFMC) which had a statement from Dr Saira Merchant, a paediatrician at the Government Medical College and Hospital. It clearly stated that Yogita’s pathological report did not mention that she was suffering from sickle cell. “Yogita had congenital heart disease which would need to be treated in the long run,” Merchant’s statement added. This was informed to Yogita’s mother when the girl was discharged following a heart treatment. Anand said it was inappropriate on Gadkari’s part to give himself a clean chit in public when the case was yet to come to a conclusion. The BJP chief had blamed the media for tarnishing his image by linking him to the death of Yogita. The CPI leader slammed the state criminal investigation department (CID) for a lackadaisical probe despite the High Court’s direction to it for a fair investigation. The state CID submitted a final report for the second time before the lower court seeking closure of the case in May this year stating that the offence was “registered under pressure of media and senior officers”. The court had sent back CID’s earlier report, which is almost identical to the one submitted subsequently, criticizing the investigating agency’s role. Anand accused Gadkari, Dixit, forensic experts of Government Medical College and Hospital and officers of Kotwali police station of conniving to manipulate the records and mislead the investigation. “We have never named Gadkari as a perpetrator but it is certainly someone close to his family or one who is well-acquainted with the premises where Yogita’s body was traced,” he said. The activist also claimed that the car (MH 31 DB 2727) in which Yogita’s body was found in the premises of the Gadkari’s residence at Mahal on May 19 in 2009 has also been disposed of. Driver Manohar Panse, while leaving for Dr Babasaheb Ambedkar international Airport to receive Gadkari, had spotted the body in the car. For reasons not clear, police had later claimed the body was found in another car bearing registration number MH 31 CS 2727. “Gadkari rewarded driver Panse with the post of director in seven companies on July 24, 2009, to ensure he remained silent,” Anand charged. The activist added that he and Yogita’s family would approach the lower court to challenge state CID plea to close the case. “We are hoping justice will be delivered the culprits nabbed,” said Kiran. Apart from suffering injustice, life for the Thakres in the last three years seemed to have remained unchanged. They continue to reside quite close to Gadkari’s residence, at Tulsibagh. Yogita’s mother Vimal is still a domestic help and father Ashok is an assistant at roadside food vendor’s stall near Panchsheel Theatre. Kiran informed that their present landlord had also asked them to vacate the house.